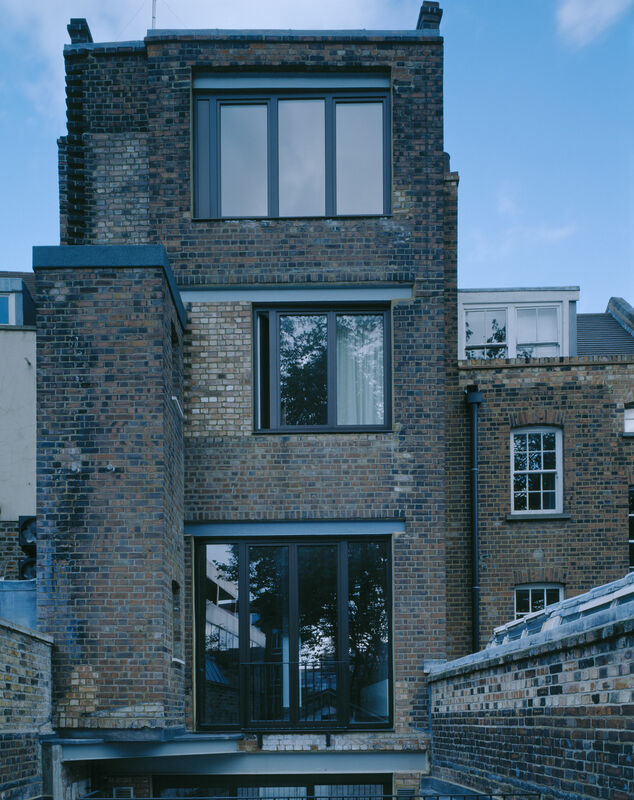 The project is a conversion of an early 20th Century five- storey former clock-makers. 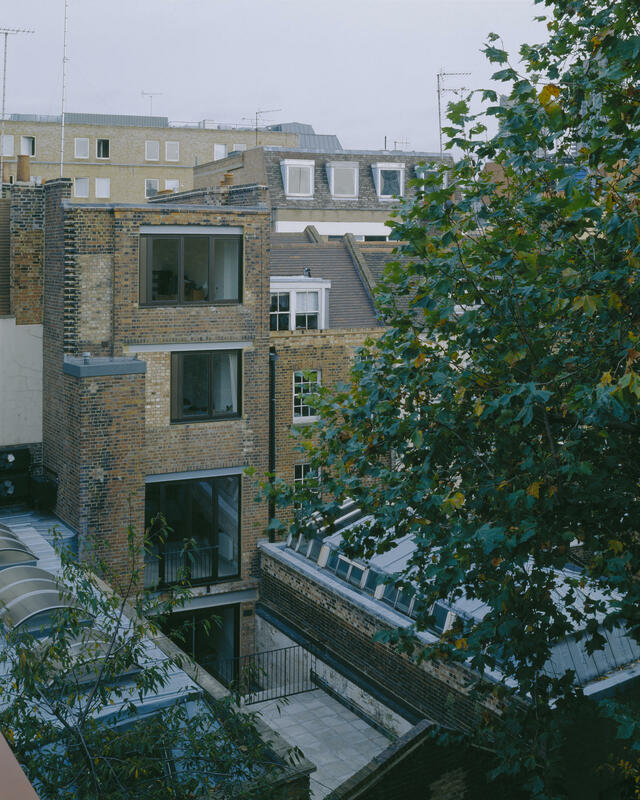 With an extremely tight budget, we concentrated on reusing much of the original fabric and making strategic changes to the section and plan to provide inspiring and effective spaces. 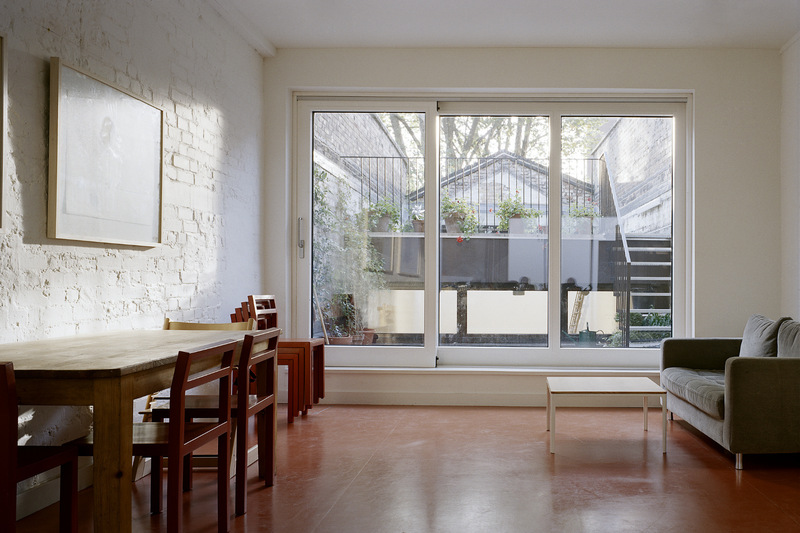 All else is very simply detailed, with our clients constructing some parts themselves. 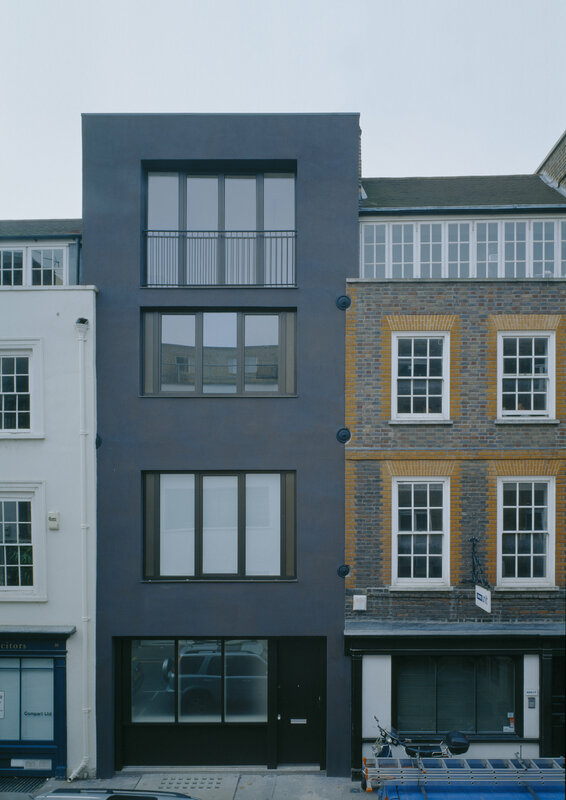 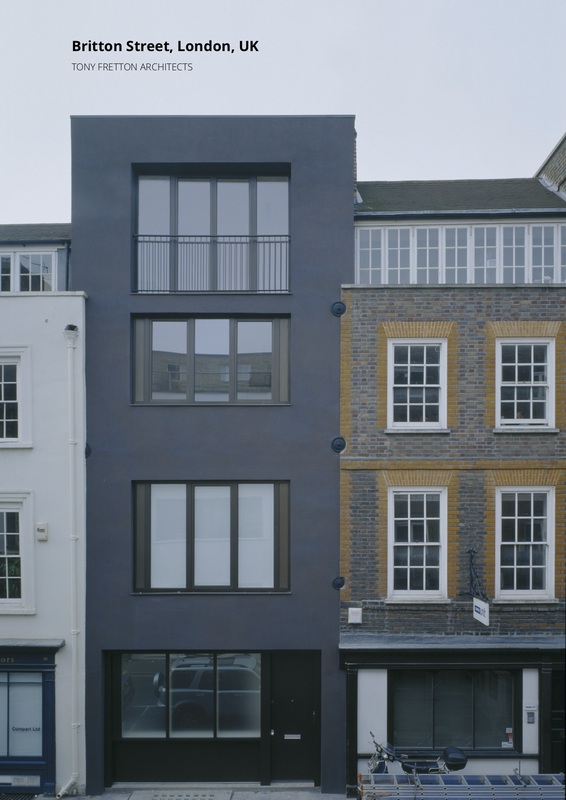 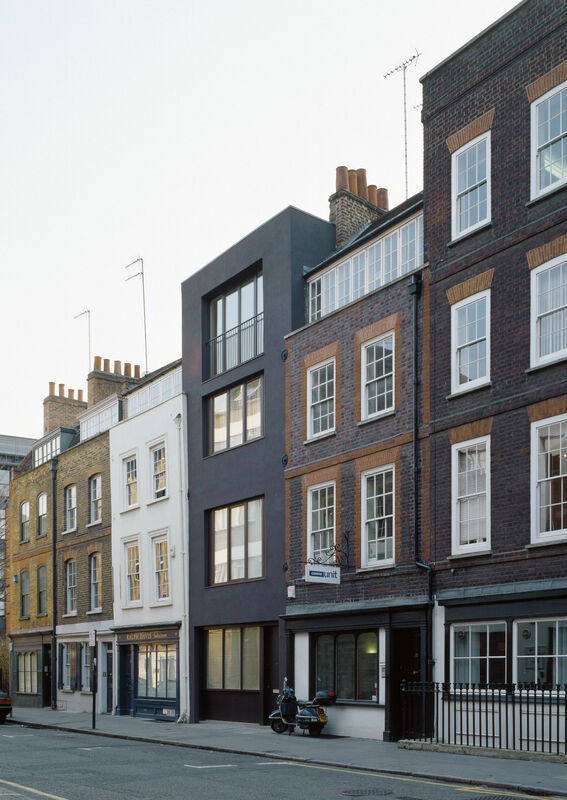 The street façade is treated with a stucco, which has been over painted by the client with a black glaze, resulting in a street façade which is sympathetic to the surrounding brickwork. 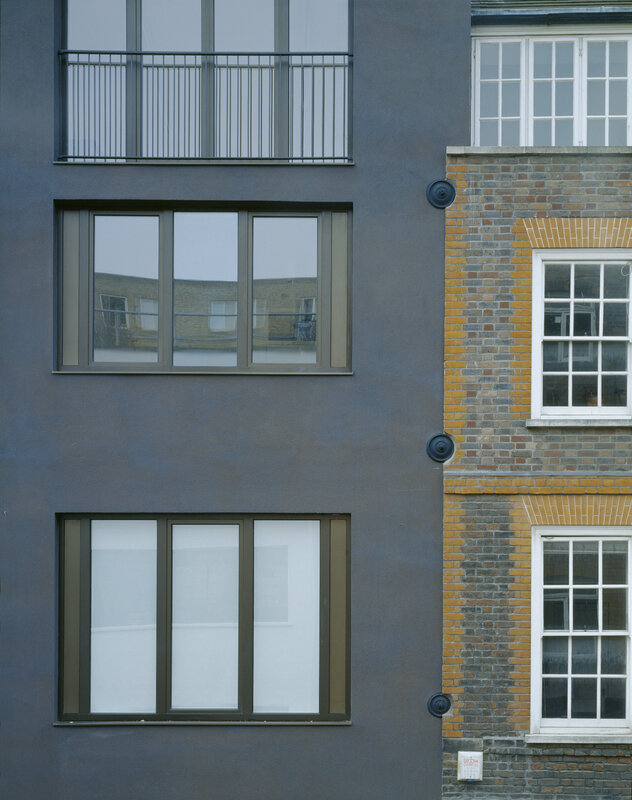 The theme of masking is also applied to the windows, which are constructed of timber and finished with bronze anodized aluminium. 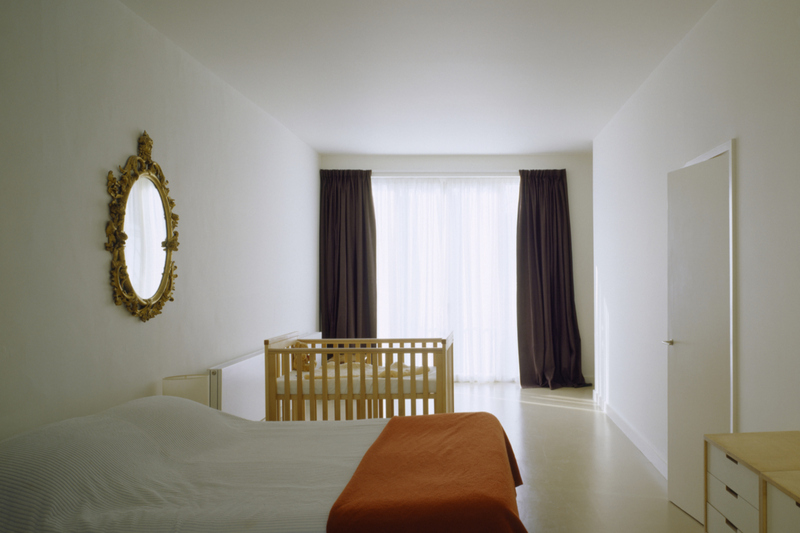 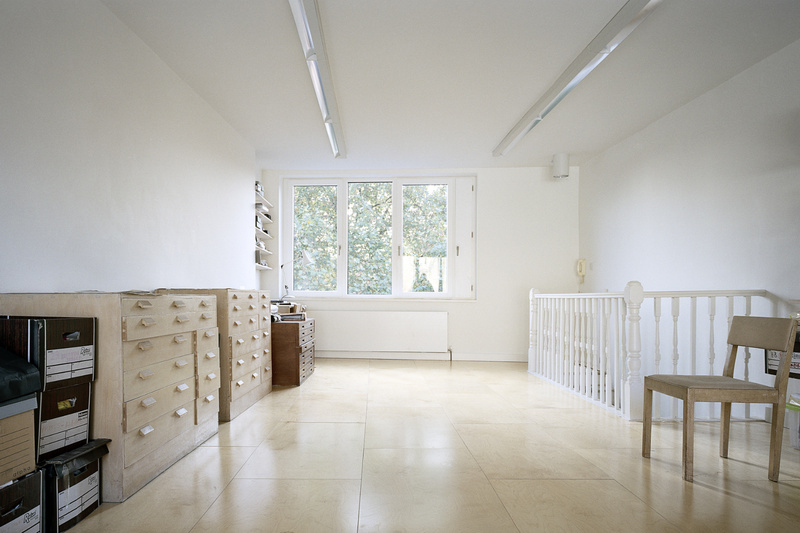 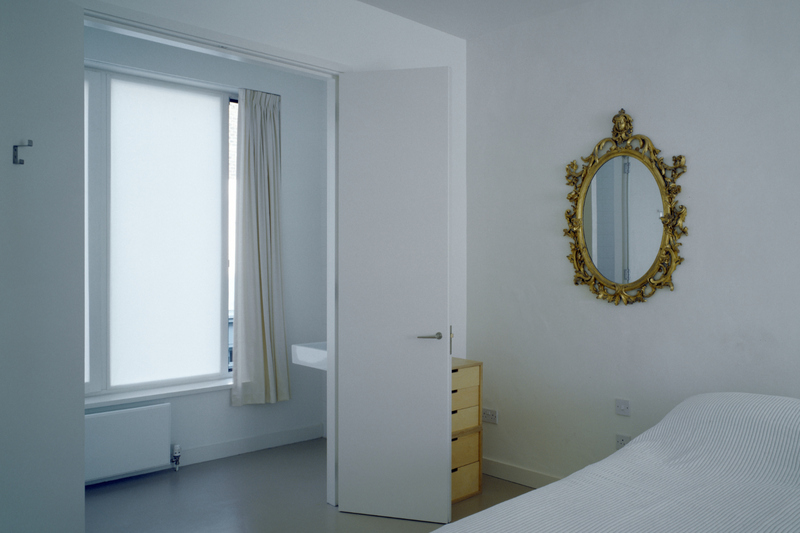 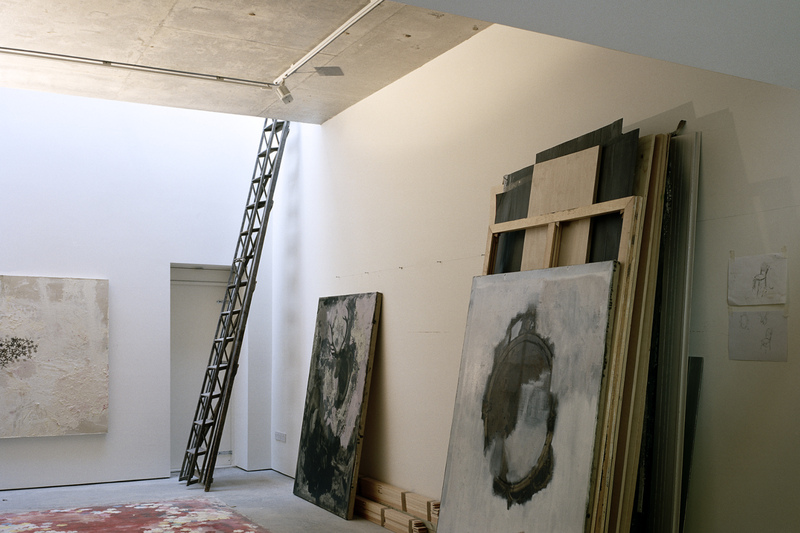 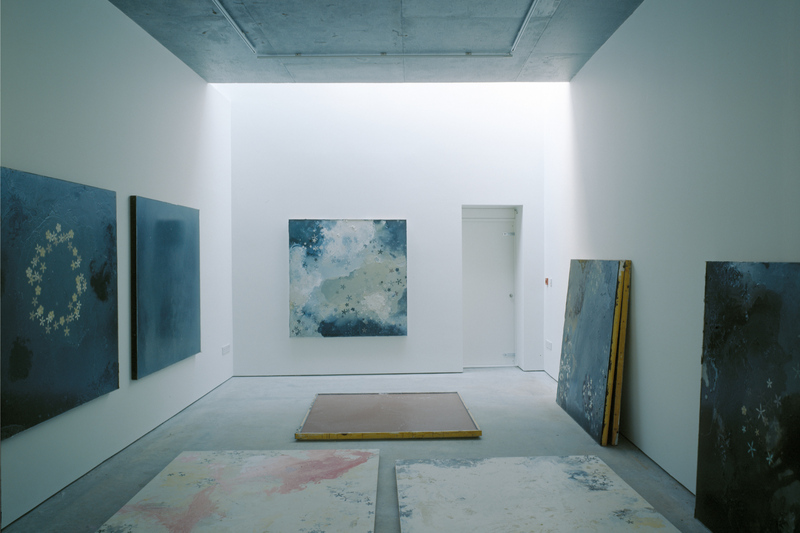 A house and studios for two artists in the heart of London.